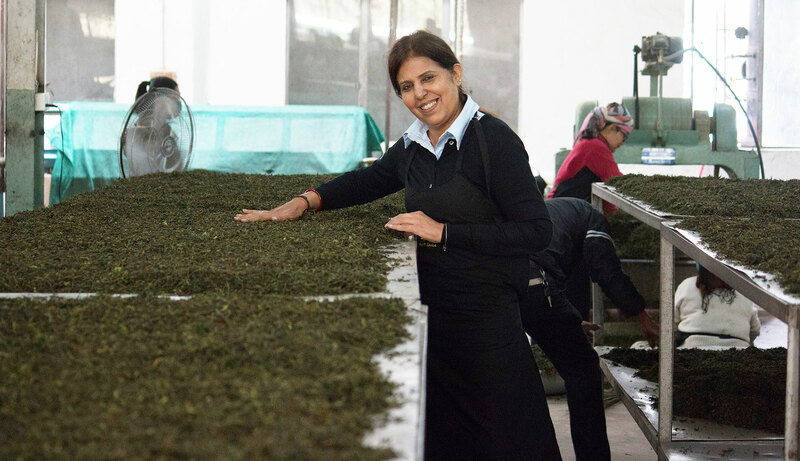 Fascinated by the beverage, Sarin ventured into the business of teas years later, but it held a very different meaning for her. “I consider it a karmic connection. I believe tea has drawn me into it. 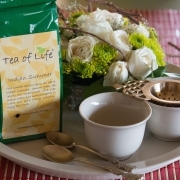 Tea has a mind of its own; it made the plan and I followed it,” says the 60 year-old, Belgium-based tea aficionado. Sarin was on a business trip to India recently, when we met her at her Bandra residence. Her drawing room was stocked with teas of different flavours, neatly arranged in a row of cabinets. The room was decorated with various types of tea pots and chests. Born in New Delhi, Sarin was raised in Mumbai, where she attended Podar College of Commerce. After marriage in 1981, she moved to Belgium, thanks to her husband’s job. Being a coffee-drinking country, tea wasn’t easily available there and she yearned for it. “The tea available in the cafes was served with a creamer that had a strange taste. So I would either drink tea black or add lemon to enhance the flavour.” Thus began her road to experimentation and she tried out some tea flavours with the help of a friend. Sarin’s fascination for tea prompted her to join the Tea Board of India in 1982 as a freelancer for some years. 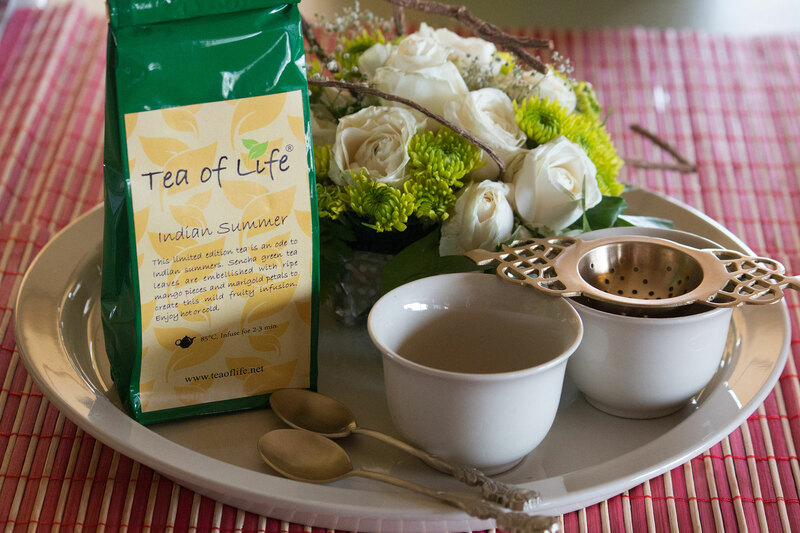 Her job entailed promoting Indian teas with the help of sampling at food exhibitions in Belgium. It was there that she learnt about green tea and the French tradition of adding fruits and flowers. She began to experiment with blends and got people to sample them. Her close family and friends who visited her from India loved her blends and not only nicknamed her ‘chaiwali’ but placed orders for more—she happily met their demands. Eight years later, in 2008, Sarin’s husband was transferred to Bengaluru for a brief period. “By then, green tea had entered the Indian market. I hunted for the right flavours and when my husband carried my tea blends to work, his colleagues appreciated those flavours.” That encouraged her to turn her tea passion into a profession. Sarin took orders for corporate or personal gifting from a select group of people in India and visited her home country twice a year for distribution. Gradually, sales increased by word of mouth but she kept the scale of operation low to have total control over quality. 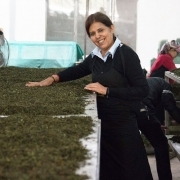 Blending teas is a way to learn and grow, says Sarin. She uses sencha green tea as the base and blends it with dried flowers, fruits, herbs, spices, tea bark, leaves, roots and other flavours. The raw material is sourced from Darjeeling, the Nilgiris and other tea plantations in India, and is also bought during travel expeditions. “To date, I sit down every morning to do my tea tastings for newer flavours,” she reveals. Her favourite blends are Body And Soul (lemon grass and ginger), La Vie En Rose (rose petals), Casablanca Nights (mint and orange), Blue Jade (blueberries), Double Happiness (vanilla and chrysanthemum), Spice Route (Indian spices) and Mulled Tea (black smoked tea with spices put in mulled wine). Sarin is planning to foray into the Belgium market in the not-too-distant future. “I want to promote Indian teas in Belgium with the help of tea sampling, tea appreciation, tea discovery, tea-and-food pairing and other workshops.” She also has other plans up her sleeve such as “introducing more exciting stuff for tea lovers and launching a website” but she’s taking it one step at a time. When Princess de Catherine of Braganza married British King Charles II, she was given a chest of tea leaves and the seven islands of Mumbai as a part of her dowry in marriage. During her 60s, if you had told Sushila A that she would be securing a doctorate in Sanskrit in the…. Meet Instagram star Moon Lin Cocking a snook at ageism, this nonagenarian Taiwanese woman is slaying street fashion like…. Meet Instagram star Linda Rodin Most beauty and style influencers on Instagram hope to launch their beauty line someday…..
Meet Instagram star Shanthi Ramachandran In today’s web-fuelled world, you can now get recipes for your favourite dishes at….